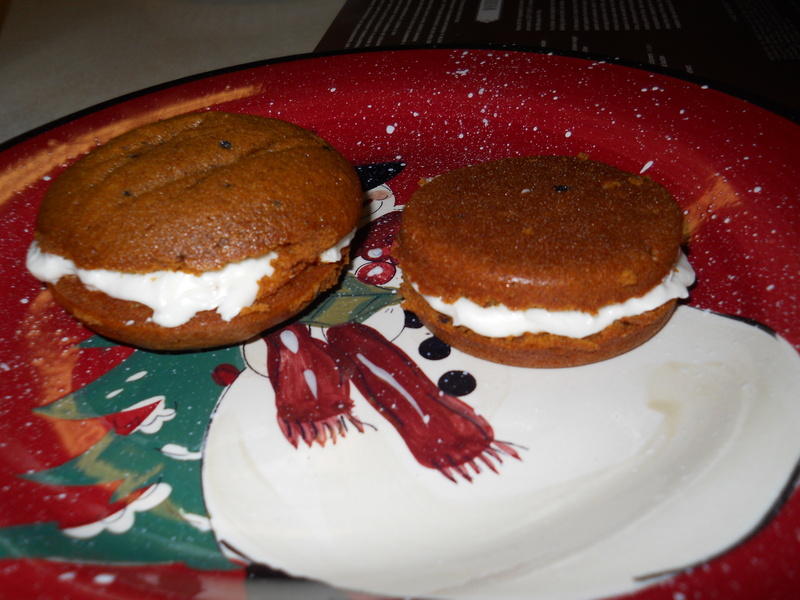 Not too long ago, I tried my first Whoopie Pie. They were chocolate pies with a peanut butter cream in the middle and they were really good. I’ve been wanting to try to make some ever since. A shopping trip to Wilmington led me to Williams Sonoma. When I walked in the store, the smell of freshly baked pumpkin bread hit me. It always smells so good in their store, no doubt this is how they get people in a cooking mood and a shopping mood, too. 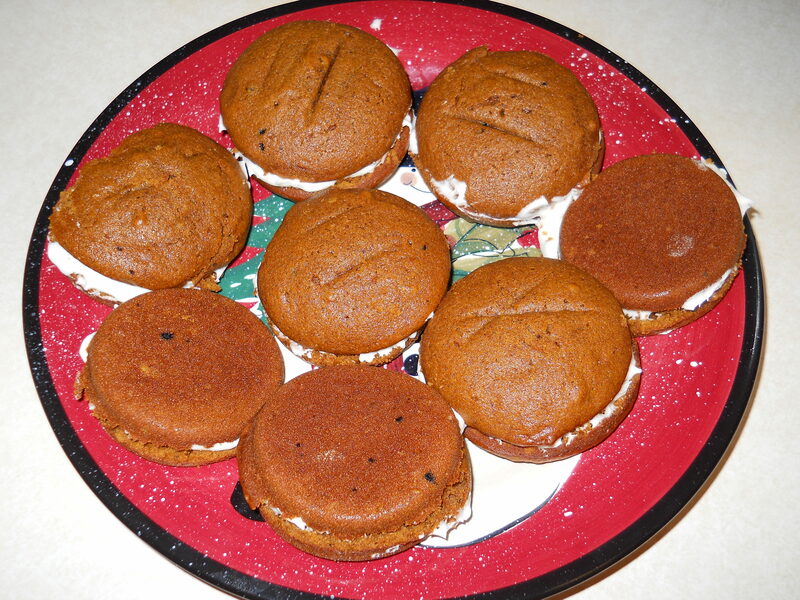 I spied the Pumpkin Whoopie Pie mix and the pans to make them in and had to have one of each. Any excuse to add to my collection of baking pans! Everything went in to the mixer with no problem. 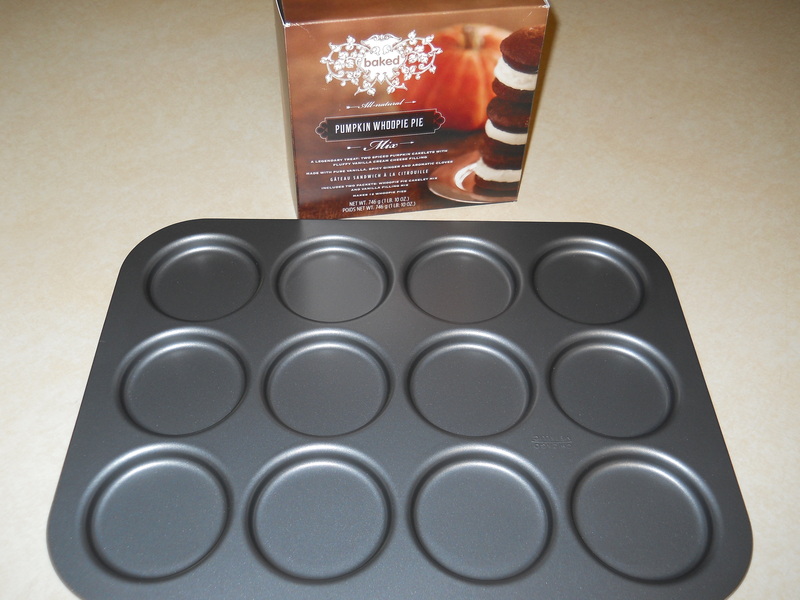 I sprayed the Whoopie Pie pan with non-stick cooking spray like the directions called for. The box said to put 2 TBS of mix into each well. I can tell you, either I don’t know how to measure out 2 TBS or this was way too much to put in them. The mix was VERY thick so I may have erred when measuring this out. Yes, I have to tell you the bad right along with the good, no matter how much I don’t want to. After all the wells had been filled, I had no mix left. This is the part where it would have helped if I had read the ENTIRE set of instructions before I just jumped in. I needed the batter to fill the pan twice and here I had only filled it once! 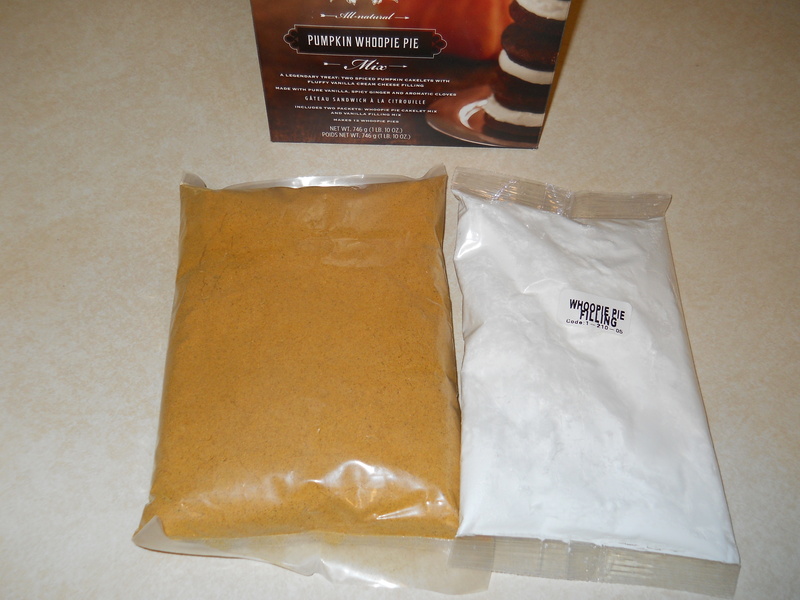 The pie pan came with a recipe for original Whoopie Pies and that one calls for 1 1/2 TBS of mix in each well so I’m thinking maybe it wasn’t entirely my fault. Next time, I think I’ll just try 1 TBS of mix in each well. Gotta love trial and error. These were supposed to cook for 10 minutes, but seeing as how they were twice as full as what the directions called for, I let them cook about 15 minutes. The lightbulb came on here and I figured I could just cut them in half! Who would know? I’d still have tops and bottoms and cream in the middle! You probably can’t tell much by this picture, but my tops and my bottoms were going to be different sizes. 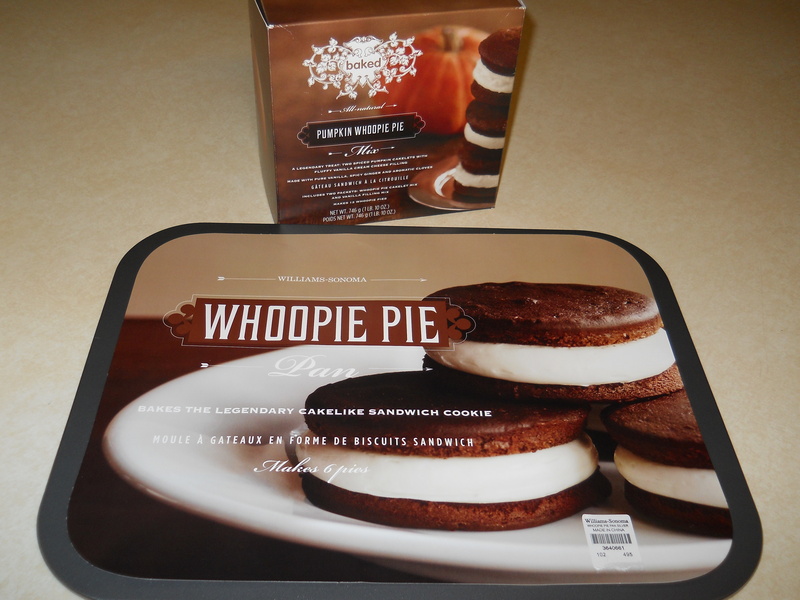 I was going to have to make lop-sided whoopie pies folks! 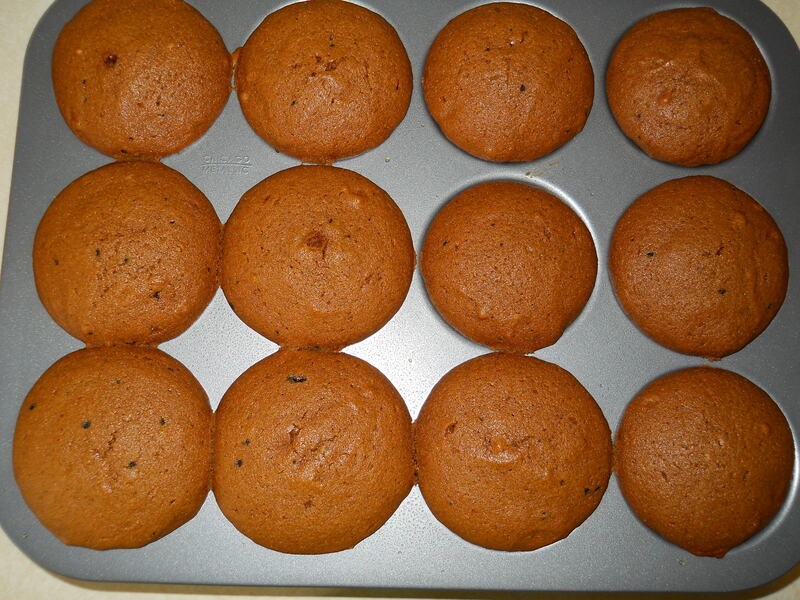 These were more muffin shaped than whoopie pie shaped. Then that light bulb came on again…I could cut these in half, length wise and use two tops for half of them and two bottoms for the other half. Am I a genius, or what? Don’t answer that! It was a pretty good cover up in my mind! You can see how they turned out here. I don’t think they look too bad and they tasted delicious! See my new Snowman plate I got during my shopping trip? It’s almost that time again and I can’t wait!! Please, don’t forget to tell Santa about those attachments for my Kitchen-Aid! As always, thanks for reading!! Preheat oven to 350 degrees. 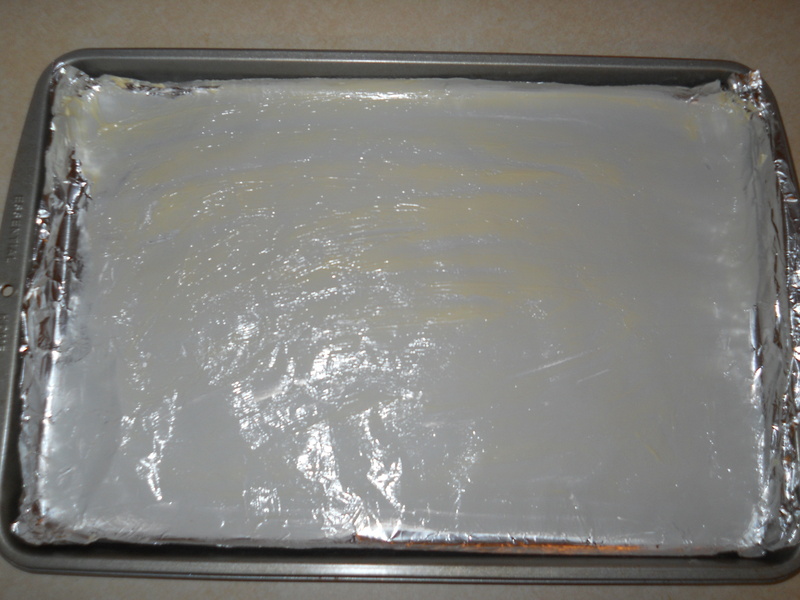 Line a large cookie sheet with aluminum foil. Spread butter on the entire piece of foil. Make sure you cover the foil good so the crackers will not stick to it. 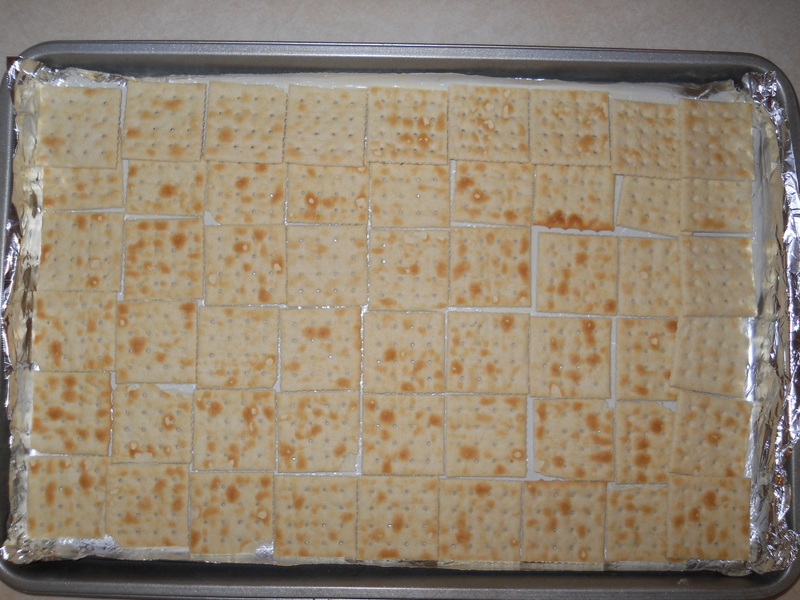 Arrange Saltine crackers, salty side up, on the buttered foil. Put as many as will fit without overlapping them. 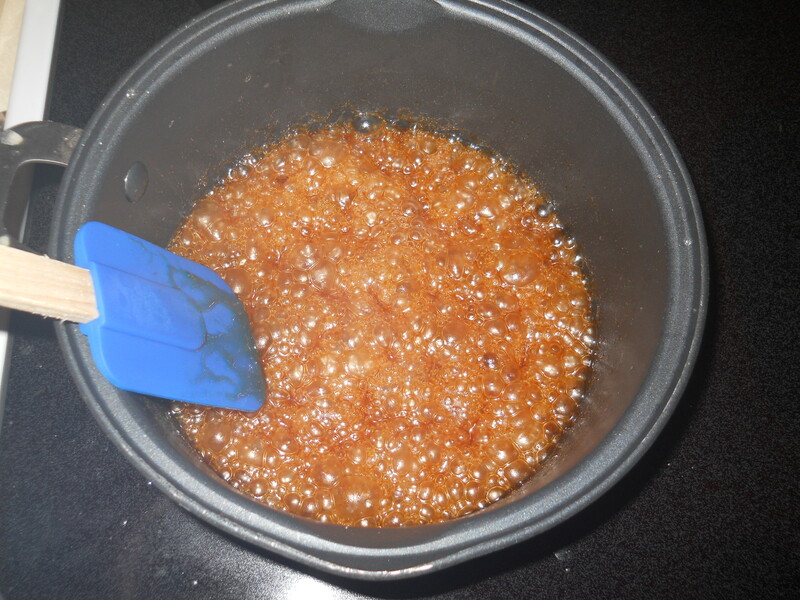 In a medium-sized sauce pan, combine butter and brown sugar and bring to a boil. Boil for one minute, stirring constantly. 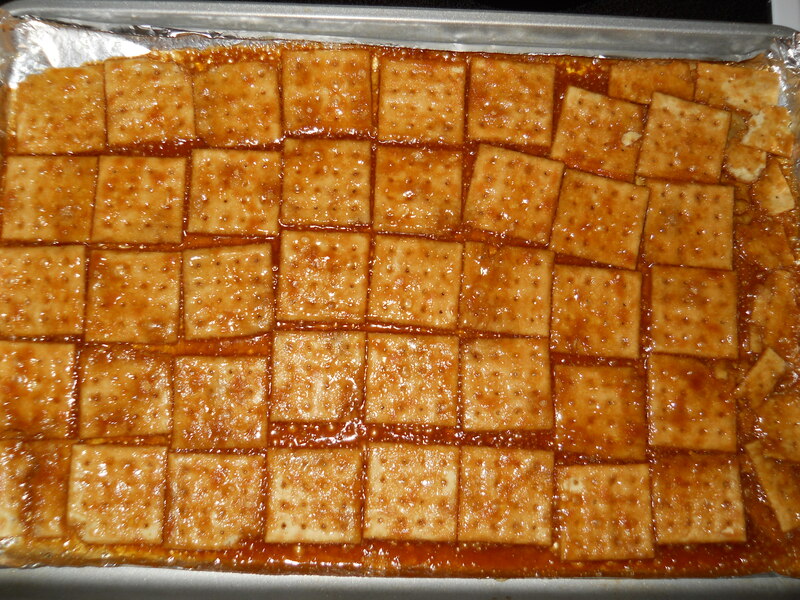 Pour mixture over all of the Saltine crackers. Spread evenly with a butter knife and make sure crackers are thoroughly covered. Place cookie sheet in oven and bake for 8 minutes. 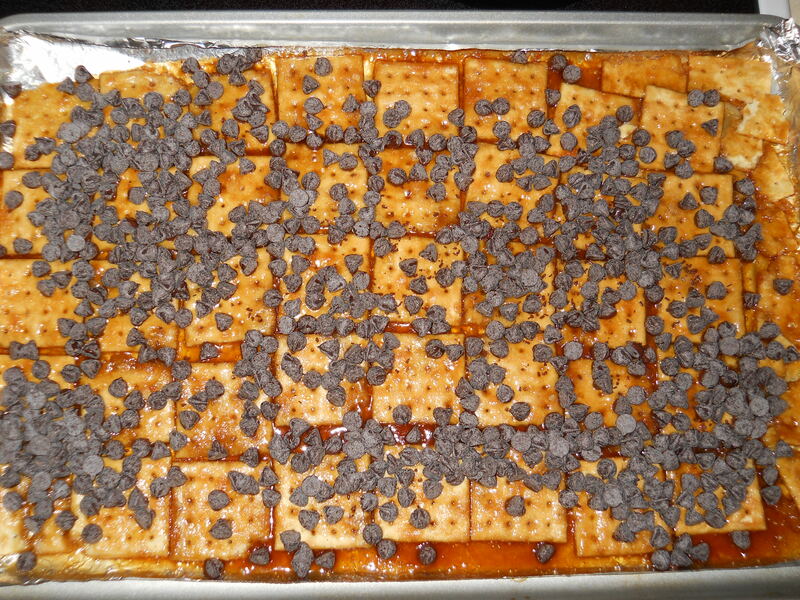 Remove cookie sheet from oven and pour chocolate chips over the crackers. Spread chocolate evenly with a butter knife. 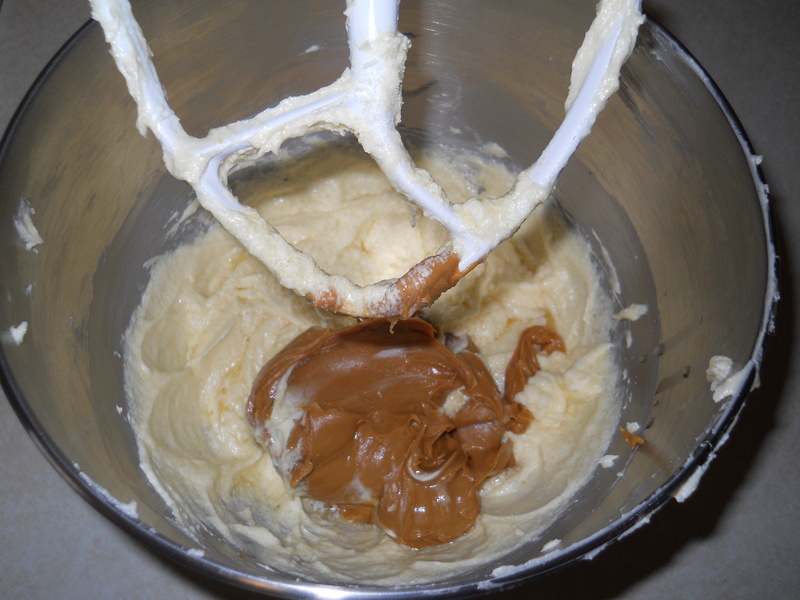 The chocolate chips will melt quickly and can be spread like frosting. 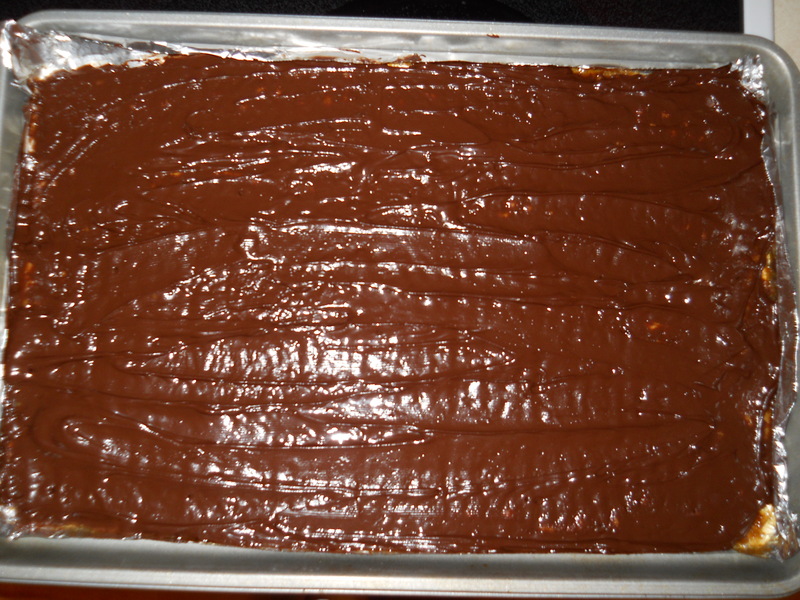 Refrigerate cookie sheet for several hours until completely cool and chocolate is hard to the touch. 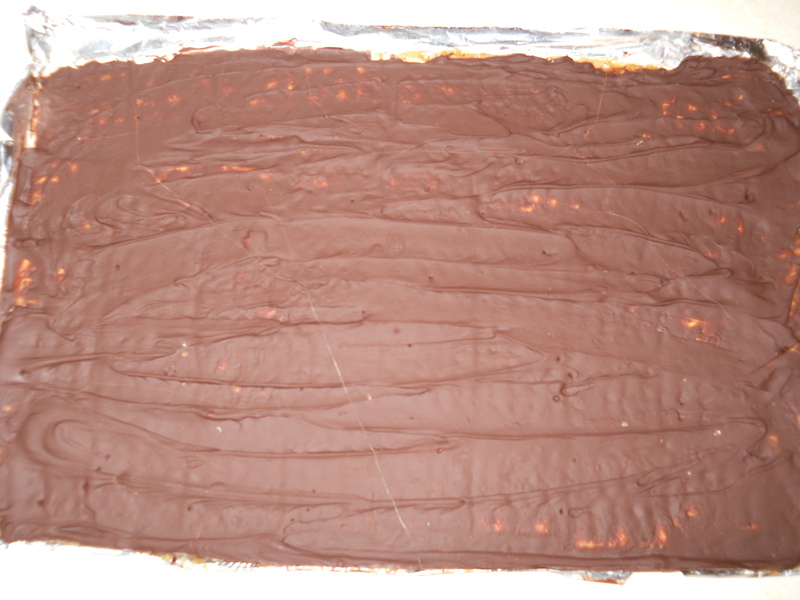 Break the Baron Bars into pieces as you peel it off of the foil. I store mine in an airtight container or Ziploc bag in the refrigerator so the chocolate doesn’t melt. The saltly, chocolately, sugary mix is YUMMY! On Sunday morning, I sat down in front of my comuter with my first cup of coffee. I checked in on my WordPress blog and then headed over to Foodbuzz.com. I saw a new post from Shay at paperplatesandchina and clicked on it to give it a look. The words Cocoa Chili caught my eye and I thought how yummy that sounded. I couldn’t wait to read her recipe for it and see if it was something I thought my family would try. Also, in her title was, “my very first award.” I knew blogging awards existed, but being new to the blogging world I had no idea what were or what they entailed. You could tell she was super exicted about this, I could only imagine how honored I would be to receive one myself some day. Shay explained that when you receive this award, you have to pass it along to 15 other bloggers that have sites you really like. You must also tell your readers 7 random things about yourself. She announced she was addicted to Diet Coke. Not so out of the ordinary, I thought, but then I saw that she slept with one beside her bed. Now this made me giggle. Do NOT step between this girl and her Diet Coke!! As I read through her list, I thought of what a nice, little package of information those 7 facts gave about her and her family. I wondered, if ever faced with this task, what 7 things I would choose to tell people about myself. Could I even think of 7 random things about myself that I felt were blogworthy? The time came for her to pass on the award to 15 other bloggers that she felt were deserving of it. I read down the list, wondering what each person’s blog would hold when I clicked on it. Surely, I would find new recipes to try and maybe make a new foodie friend or two. As I reached the bottom of the list, I saw a blog name that looked familiar. I sipped my coffee and stared at the words. It just couldn’t possibly be….could that last blog be MINE? I clicked on the link and sure enough, there was my blog! I almost fell off of my chair, folks. I wanted to jump up and down and shout, but as I was not alone in the room and I didn’t want my family to think I was crazy, I somehow managed to contain myself. MY blog….another blogger actually thought MY blog was worthy of an award. I instantly left Shay a message telling her how honored I was that she would extend this to me. It is now my turn to extend this award to 15 other bloggers. It is now my turn to tell 7 random facts about myself. 1. I am a SAHM of 3, one of which has left the nest. My husband is retired from the Marine Corps. I didn’t have to experience deployments and the like as he had already done 19 years in the service when I met him. I feel like I am very lucky in that aspect, as I don’t know I would have dealt with him being gone for long periods of time. Even though his job right now is far from being 9-5, he home almost every night. 2. I was born and raised in North Carolina. Although Southern girls are supposed to like sweet tea, tomatoes and turnip greens, I despise all three! Well, I like tomatoes if they are cooked…hopefully they are in spaghetti sauce. 3. I am a Disney Freak. Disney World is my favorite place to vacation and is just about the only place we have taken a vacation to in the last 4 years. 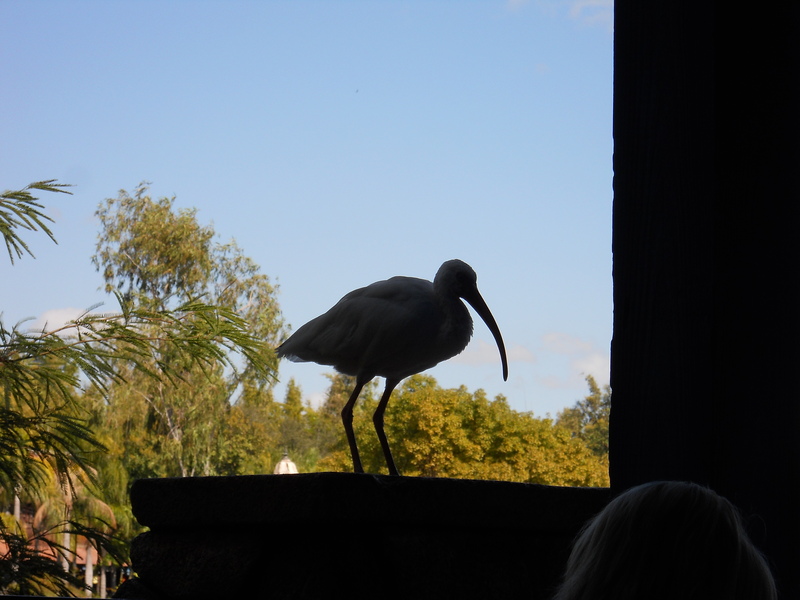 I speak of Disney every day, usually sing a Disney song every day and see a past vacation photo of Disney every day. You see, these are hanging on my wall, my screensaver on my computer, my wallpaper on my phone…you get the picture. Goofy is my favorite character. I noticed the other day that my Goofy keychain was only Goofy’s head now. I couldn’t locate his body anywhere in my purse so somewhere out there is a headless Goofy. If you find him, please return him to me. Superglue works wonders ya know. 4. I was blessed with two of the most wonderful grandmother’s anyone could have asked for. One was a Southern grandma who made the best cornbread you ever ate. The other was an Italian grandma who made lasagna that no one could hold a candle to. I was lucky enough to have both of them live right next door to us from the time I was 4 years old. I don’t remember either of them ever raising their voice to me or spanking me. They had the patience of a saint and loved their grandchildren more than anything. I miss both of them dearly every single day and wished I had paid more attention to them when they cooked…or sewed…or quilted. If you are blessed with a wonderful grandma people, hang on tight to her and pay attention when she does ANYTHING! 5. One day I would like to own my own business. It would defninitely be something involving cakes, cupcakes and children’s parties. I think it would be a lot of fun to have a place where you could throw themed parties for kids. Anyone who knows me, knows that I love to shop for, cook for and decorate for a party. I do love a good Luau. 6. I was really scared to start this blog. It was something I had been wanting to do for quite some time, but didn’t have the confidence to do it. I worried no one would read it and if they did, they wouldn’t like it. I had several Disbuds (these are friends you met through your mutual love of Disney for those of you not familiar with the term) tell me to go for it, even if it was just something for myself. I mean, as long as I liked it and it made me feel better, who else’s opinion mattered, right? Right now I am extrememly happy someone else did read it and liked it!! Thank you, Shay! 7. Wow, my last random fact. What to say here and reveal about myself? I think that in the last couple of weeks, I’ve learned it’s okay to take that leap. That everything may just turn out well in the end. That I shouldn’t focus so much on the negative’s and what if’s. That I have a hand in steering my fate. After 17 days of blogging….so far, so good. Thanks to all of you for reading!!! Two of my favorite foods are corn and potatoes. I also love a bowl of nice, hot soup so if I can combine those three things I ama happy camper. 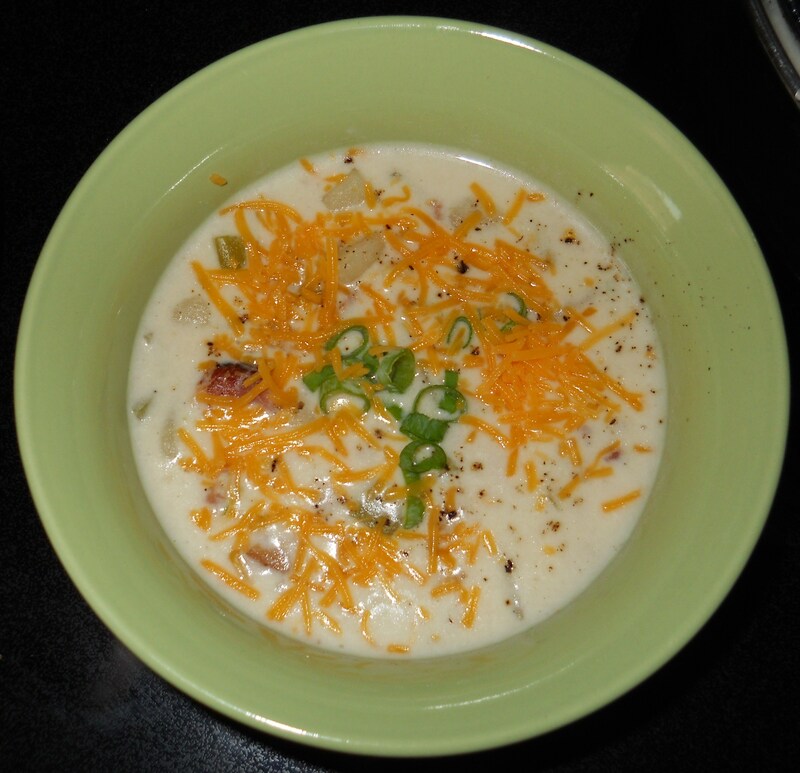 Cooler temps will arrive tomorrow, it will be a great time to sit down to a yummy bowl of comfort food. In a large saucepan, cook bacon until crisp. Drain and return to pan. 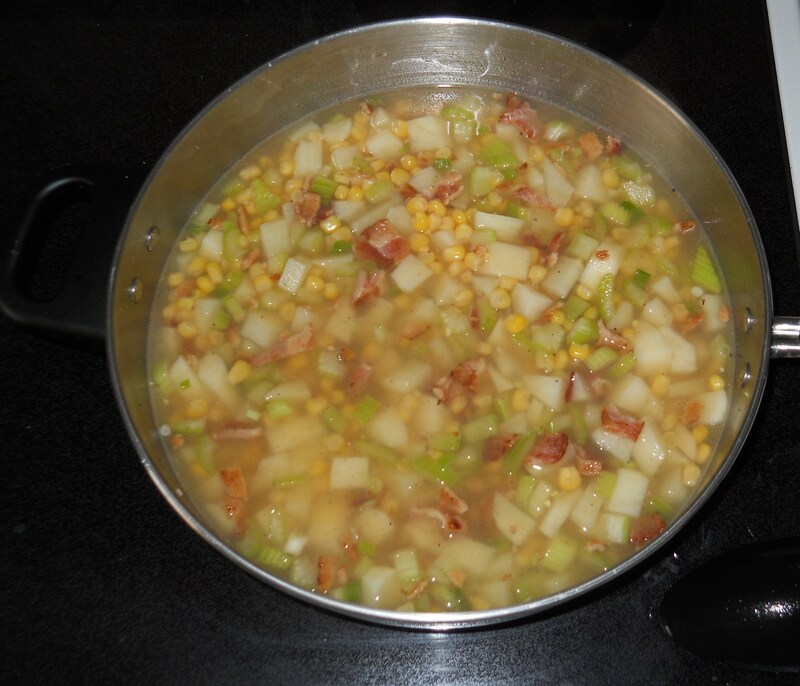 Stir in chicken broth, potatoes, onion and celery. 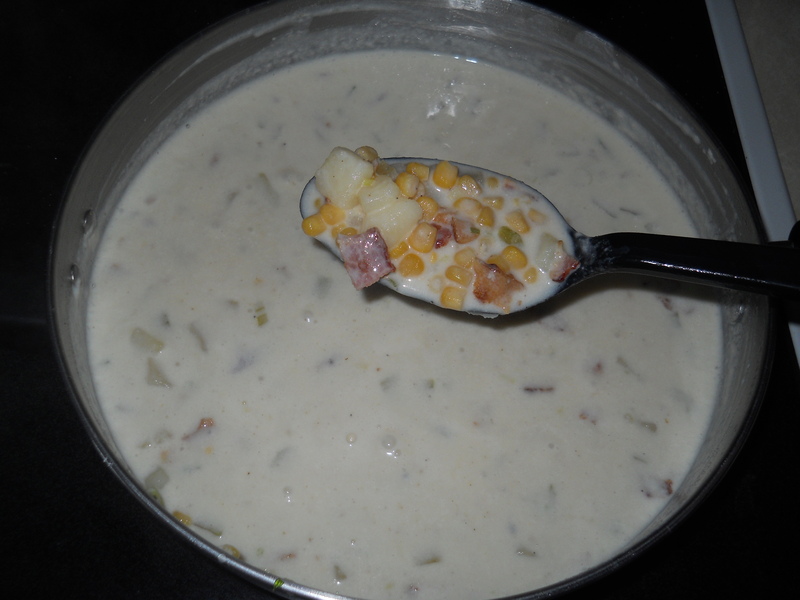 Bring to a boil, reduce heat to low and simmer for 15 minutes or until potatoes are tender. 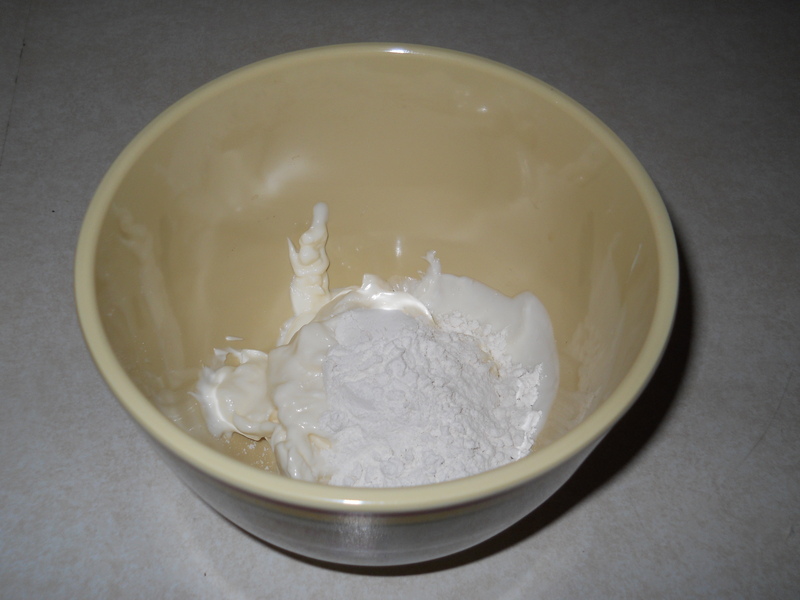 In a medium-sized bowl, mix flour and mayonnaise together. 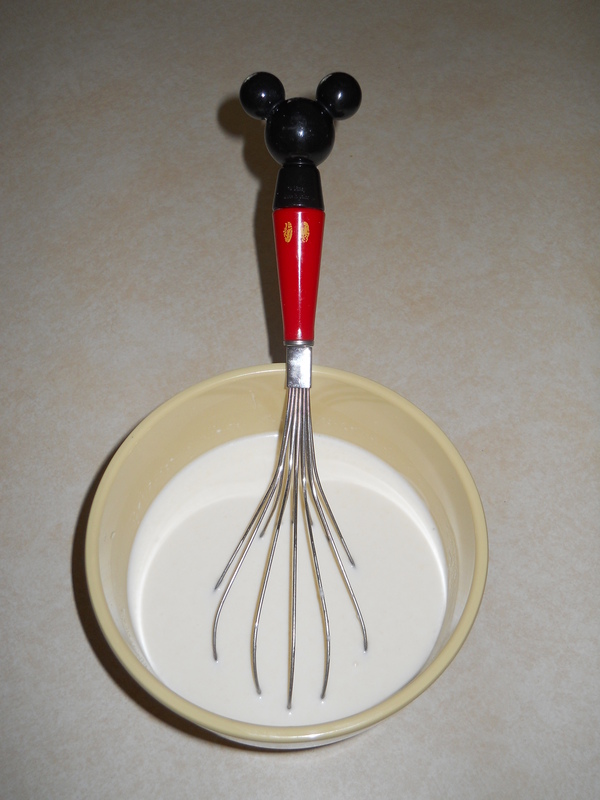 Whisk in milk until well blended. I like to use my Mickey Mouse whisk for this part. Everything tastes better when Mickey helps, right? Add to potato mixture and stir until thoroughly blended. Cook 3 to 5 minutes until heated through. I like to turn the heat back up a notch for this part. Just until it bubbles again. Then I turn it back down and let it thicken. 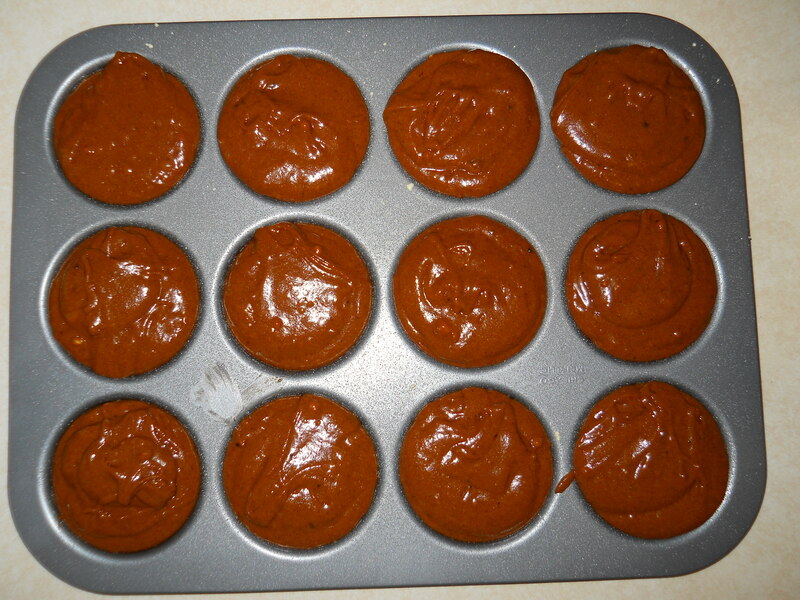 I was in a baking mood today! 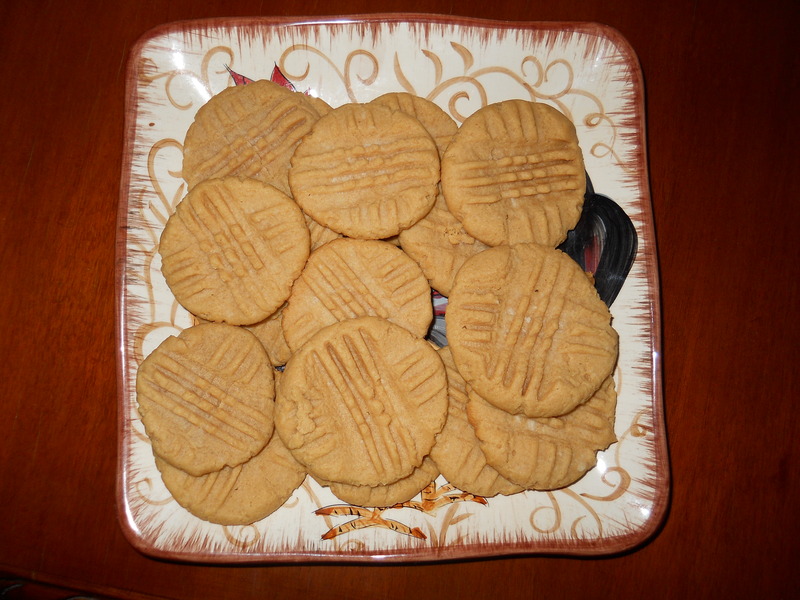 As I was flipping through some of my favorite recipes, I came across one for Peanut Butter Cookies. 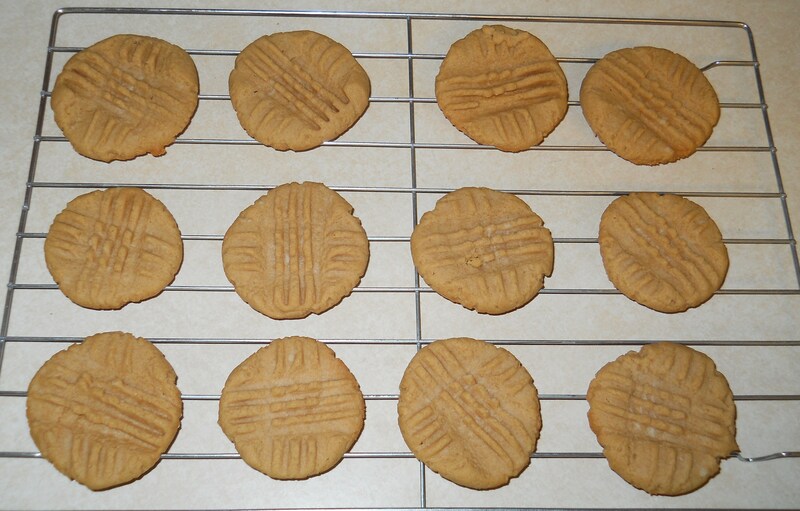 These are the most moist peanut butter cookies I have ever eaten. I’ve had some in the past that you could use as weapons if you threw them at someone! My family loves these so much, they never seem to last long once they’ve been made. Since the holidays are just around the corner, I thought I’d share these with you. Preheat oven to 300 degrees. 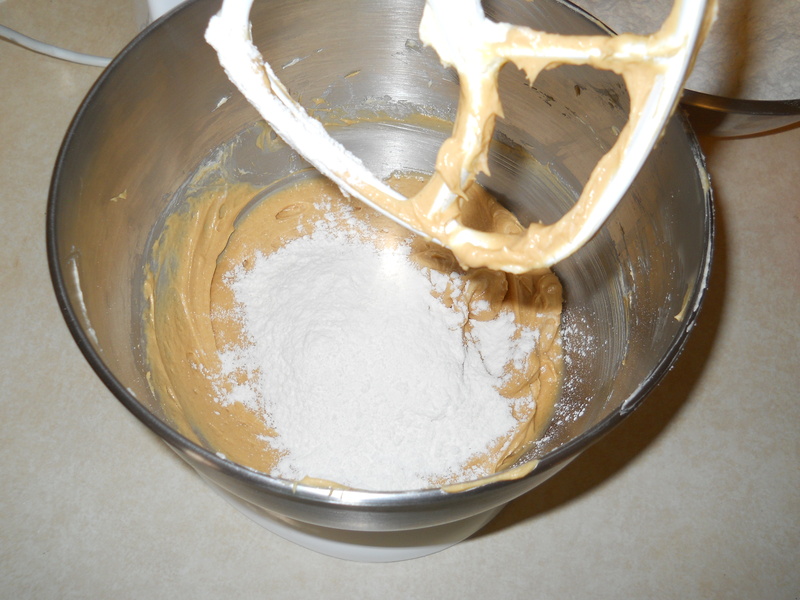 In a medium sized bowl, mix flour and baking powder and set aside. 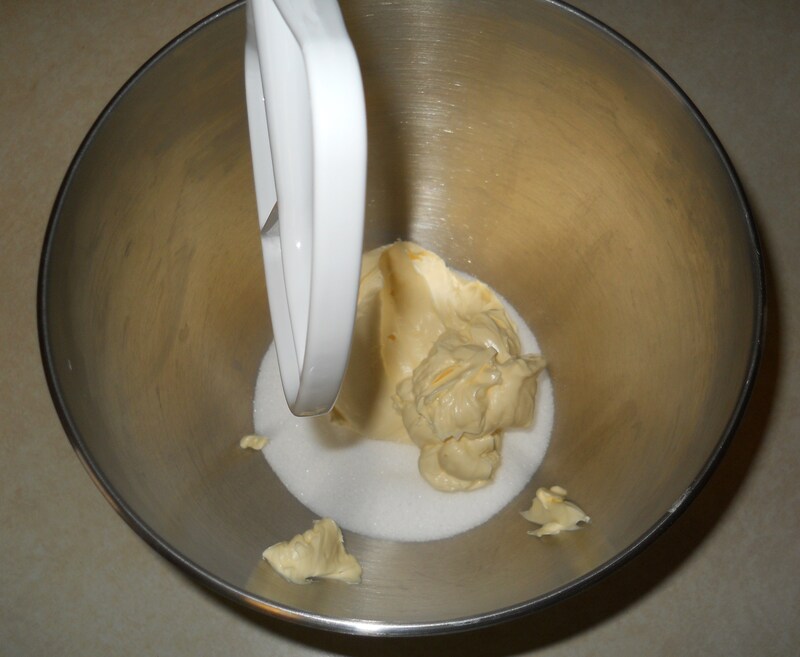 In a large bowl, ( I used my Kitchen-Aid mixer here) beat butter until softened. Add sugar and beat together until fluffy. 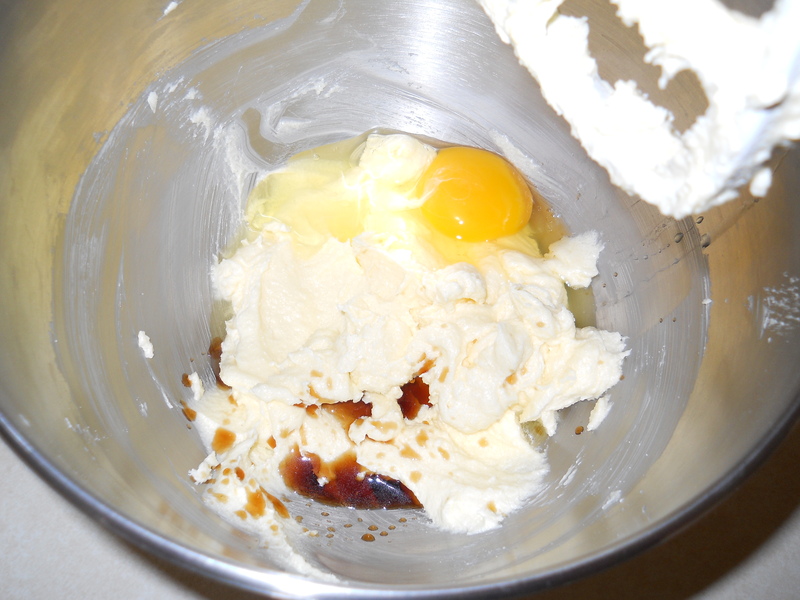 Add egg and vanilla, beat well. 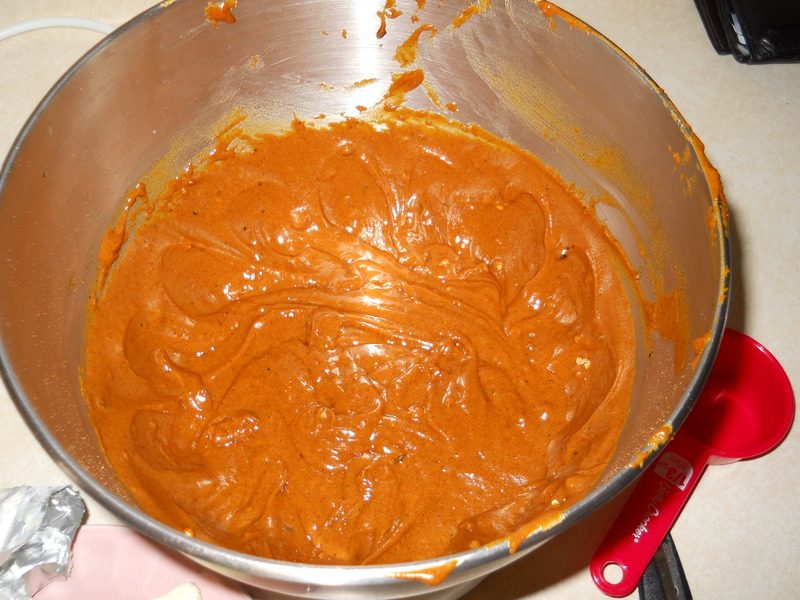 Add peanut butter and beat until thoroughly blended. 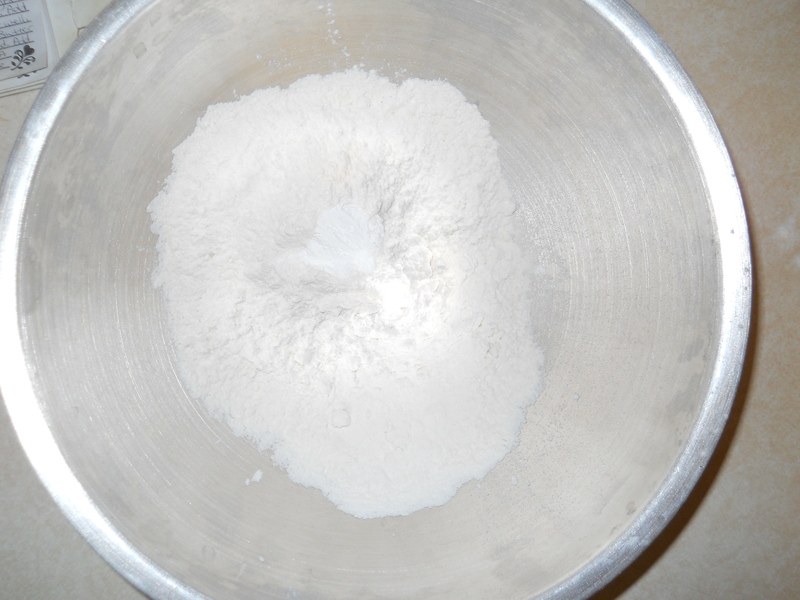 Add flour mixture a little at a time and blend until all of it has been mixed together. At this point you know to start out using your mixer on low unless you want your kitchen (and yourself) to be covered in flour! Take a tablespoon full of dough and roll into a ball. 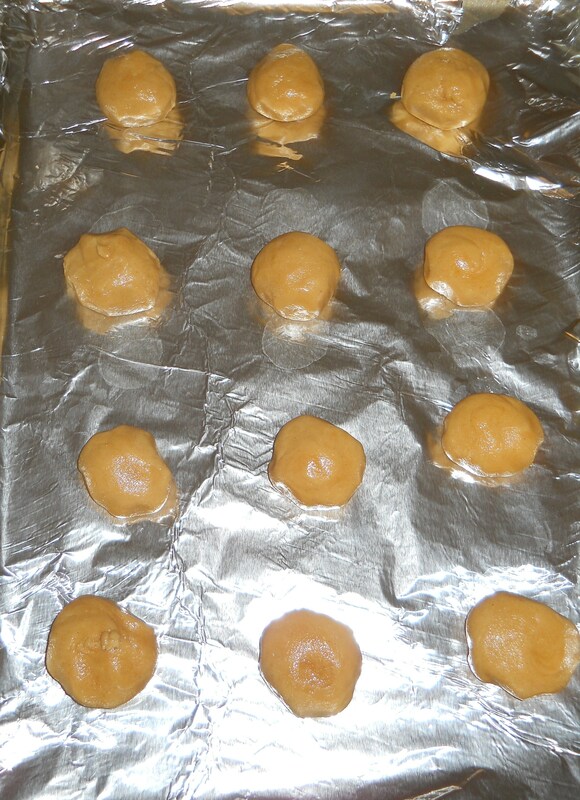 Place ball on cookie sheet and use a fork that has been dipped in flour to flatten out the cookie. I like to make a criss-cross design on mine. Remember to dip your fork in the flour each time you press your cookie so it won’t stick. Cook on the top rack until cookies are slightly brown. 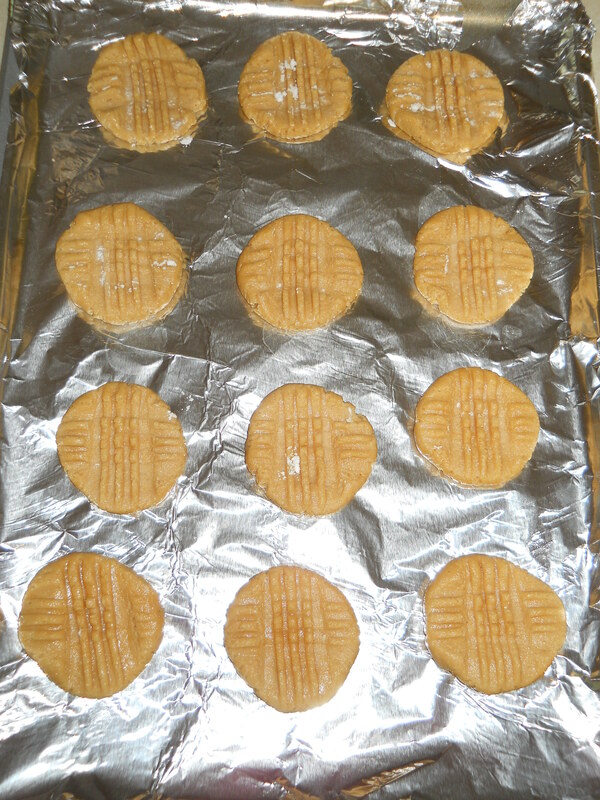 Remove cookies from the oven and let them sit on the cookie sheet for a few minutes so they will firm up a bit. 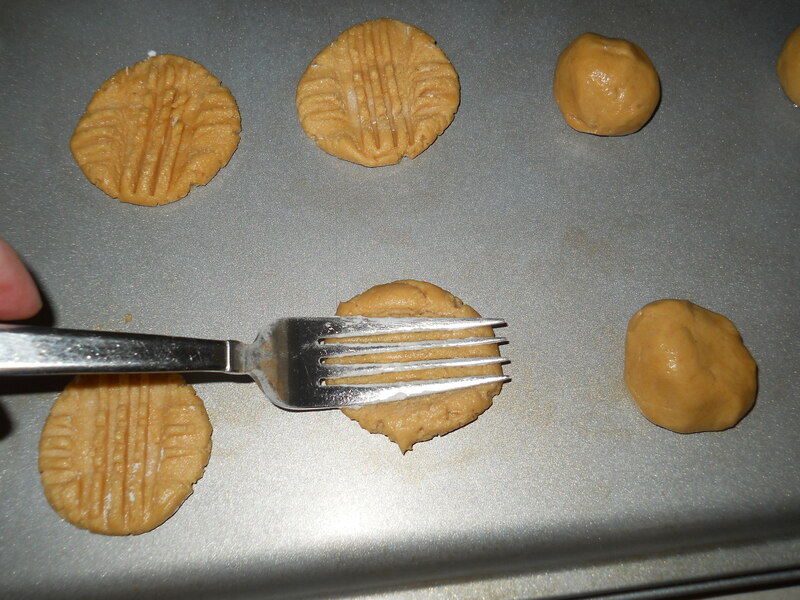 Then remove cookies with a spatula and place them on a cooling rack until thoroughly cooled. Store in an air tight container. I like to put a piece of white bread in the container when I store any kind of cookie. The next day the slice of bread will be hard as a brick, but your cookies will be nice and soft! 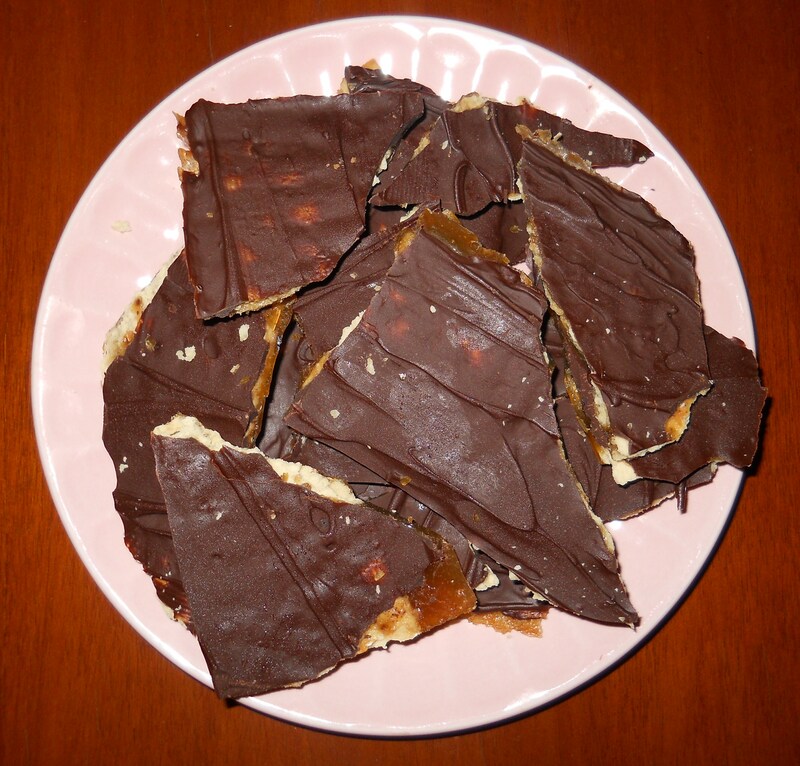 You could easily add chopped nuts to this recipe or maybe a few Reese’s Pieces on top if you like. I hope your family likes these cookies as much as mine does. Enjoy! 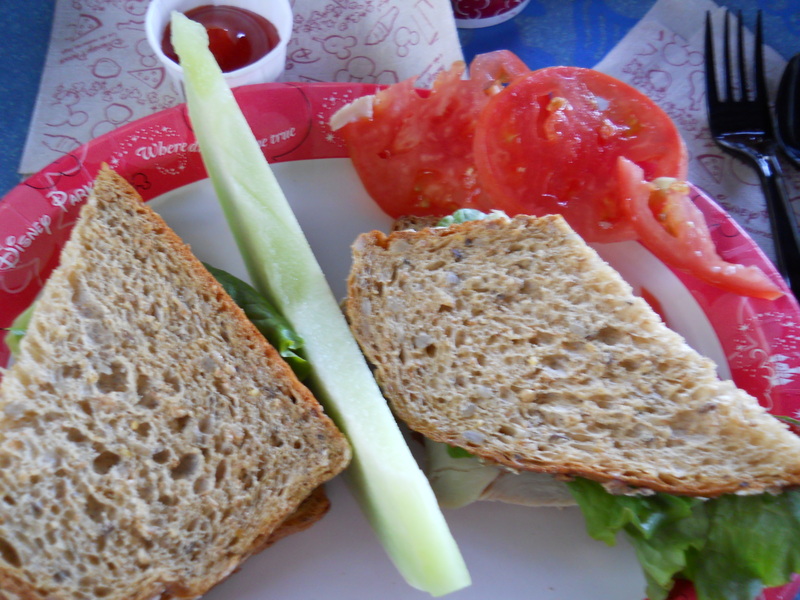 The yummy eats at Disney World is going to be a tough thing to blog about. Not because there isn’t enough to choose from, but because there is way too much!! For any of you that have ever visited that magical place, this is something you know all too well. Today I’ll just choose a few things that are some family favorites. A must have for my son and myself are the Mickey waffles. It just isn’t the start of a Disney day for us if we don’t have these wonderfully, yummy Mickey eats before we head into the parks. Most days we like to do a counter service meal for breakfast. 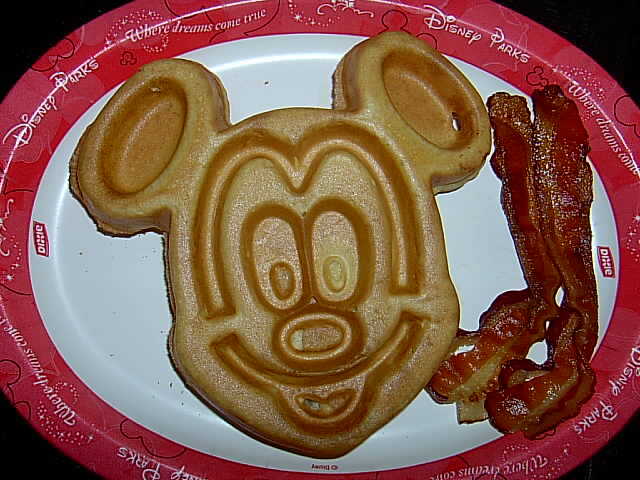 Disney World does have some fabulous restaurants where you can have a scrumptious breakfast with your family. My favorites are the character meals…but that is another post entirely. My husband usually likes to get an omelet or a platter that comes with scrambled eggs, sausage, a biscuit and fried potatoes, one of his favorite things to eat. My daughter is just not a breakfast person. She almost always eats a peanut butter sandwich for breakfast. Yes, a peanut butter sandwich folks. I am forced to bring a jar of peanut butter with us on vacation and buy a loaf of bread once we get there. With all the yummy breakfast foods at Disney I can only think of two she eats, bacon and grits, and she very particular about her grits! I thought for sure I had more pictures of the breakfasts we ate on our last Disney trip but I can’t seem to find any. Hmm, guess we were in too much of a hurry to eat them! 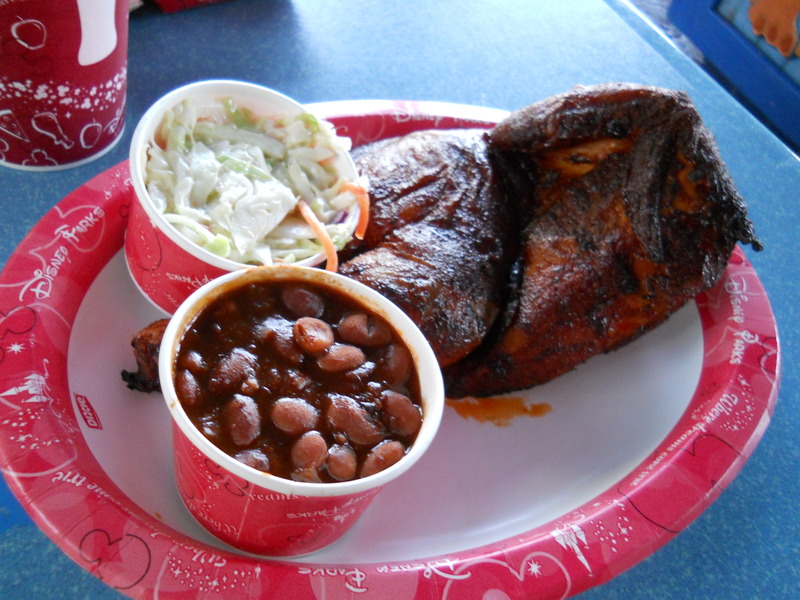 Okay, moving on…..
One of our favorite places to eat lunch is at Flame Tree BBQ in Animal Kingdom. 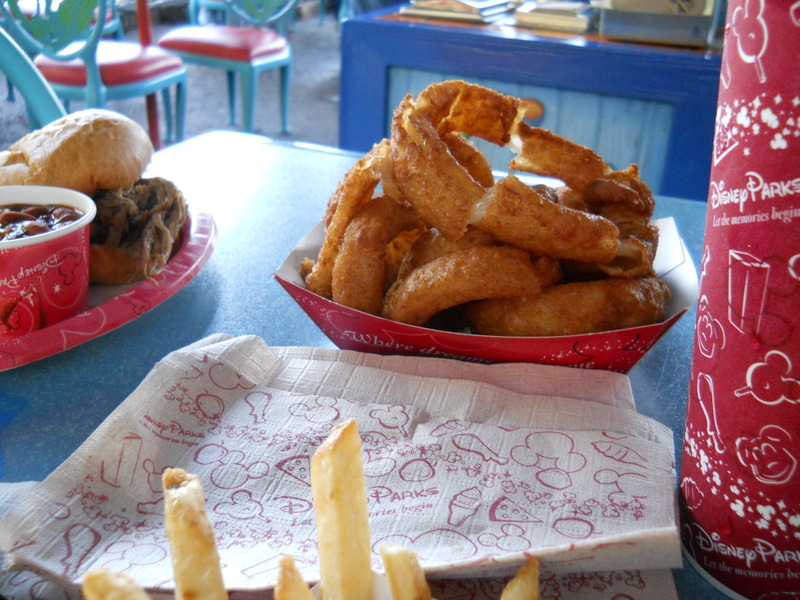 There we usually get a nice turkey sandwich, crispy french fries, crunchy onion rings (oh, how I love those!) or a barbecue sandwich. Allison’s favorite meal to eat here is the roasted chicken. It comes with some delicious baked beans and creamy coleslaw. Alas, Allison eats neither of those sides, so we must order some extra french fries for her. 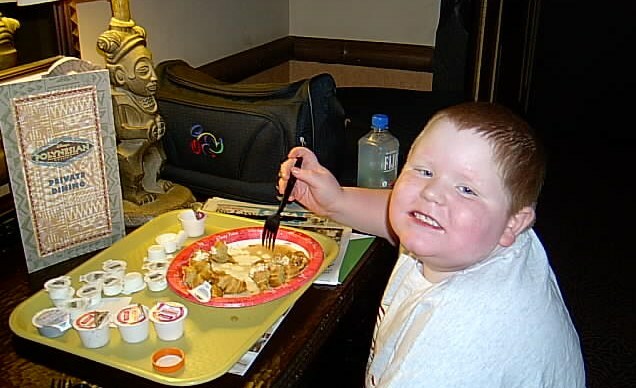 I know, I know…you are glad this picky eater belongs to me and not you, right? Ah, a visitor. No Disney counter service meal is complete without one. I love all the different kinds of birds and squirrels that come up to you as you eat. You know they are down there thinking, “Please, lady, I’ll take anything you drop!” There are signs posted everywhere that ask you not to feed the wildlife and we don’t. Yes, we do drop the occasional fry or bite of something, but not intentionally. I like the fact that Animal Kingdom doesn’t allow plastic straws in the park. A sturdy paper straw comes with your drink when you get one there. 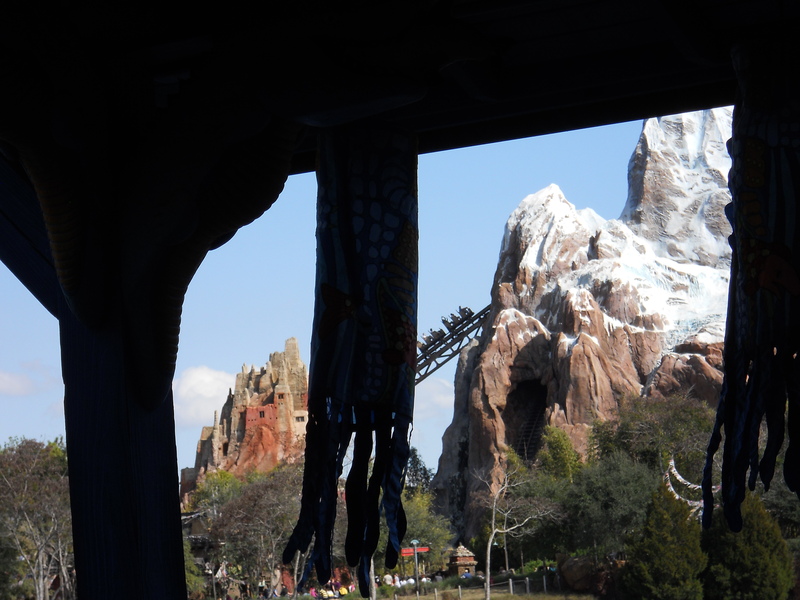 Another reason we like to eat at Flame Tree BBQ is the view. There is a ton of seating for this counter service restaurant, but we usually go all the way to the back so we can watch people ride Expedition Everest. Oh, and hear them SCREAM!!! I am a wimp and have never been on that ride. Just listening to them yell is enough to give me butterflies in my stomach. My nine year old son keeps telling me, “C’mon Mom, the Yeti isn’t even scary when he jumps out at you!” Um, no thanks, I’ve seen the part where the track comes to an end on that thing and you go roaring backwards. I’ll just sit here and enjoy my onion rings while you adventurous folks enjoy the ride. It does make for a lovely view, though. I bet you thought I was going to talk next about our dinner at Disney World, didn’t you? Nah, I’m skipping straight to dessert! I could do several posts alone about the sweet treats you will find all over Disney property. Everywhere you turn there is something yummy to be had. 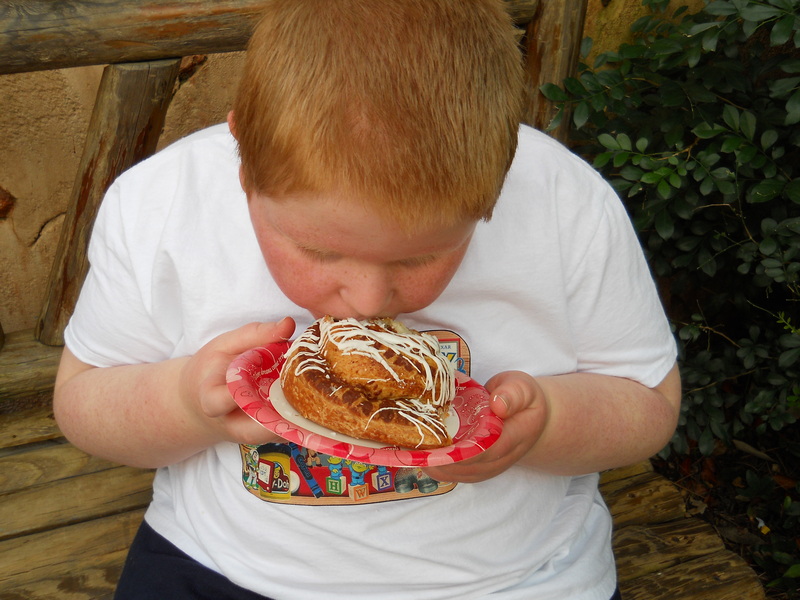 You see my son here trying to tackle a cinnamon roll that is too big to fit in his mouth. One of my daughter’s favorite thing to eat are chocolate chip cookies and here she has found a winner! 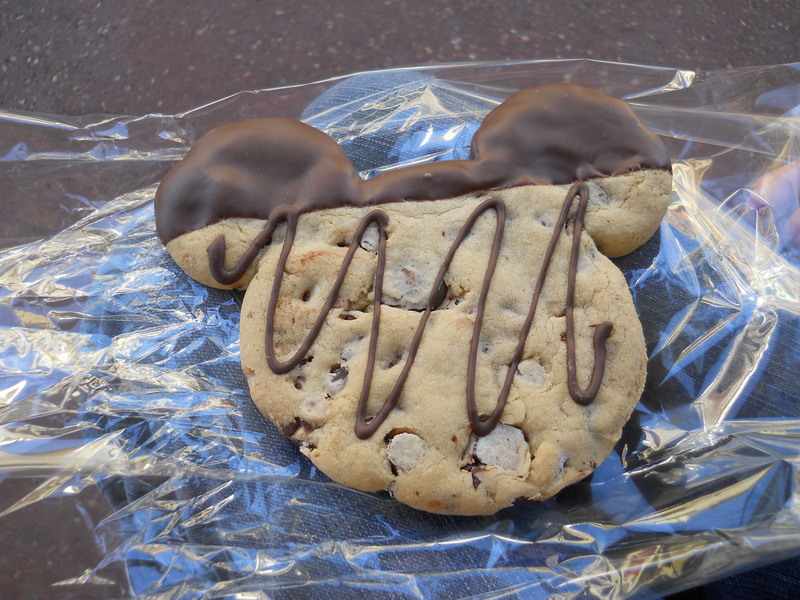 Who wouldn’t like to eat a cookie in the shape of Mickey Mouse? You know, when it’s Mickey-shaped it tastes so much better. 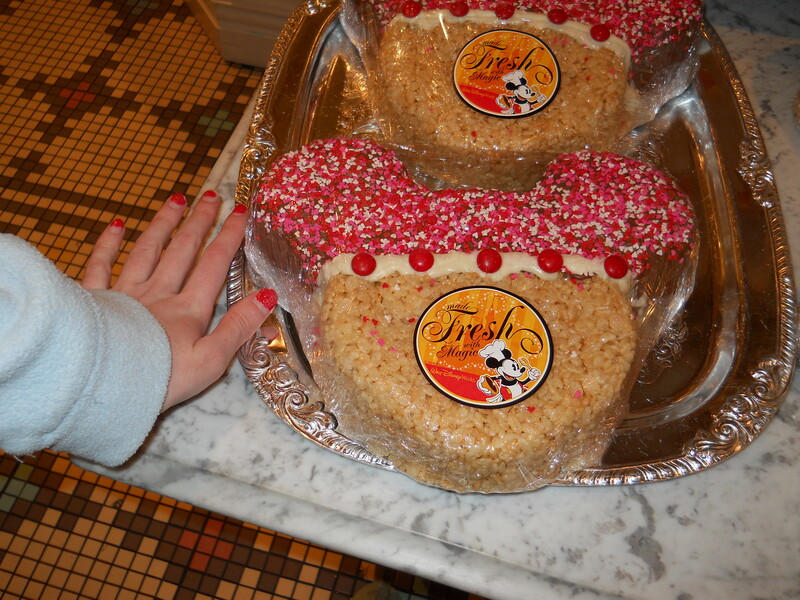 For those of you who like rice crispy treats, you can get the mother (or should I say Mouse?) of all rice crispy treats here. My daughter put her hand next to this one so we could show you how big it is. Hey…did she coordinate her nail polish with that dessert without me knowing?